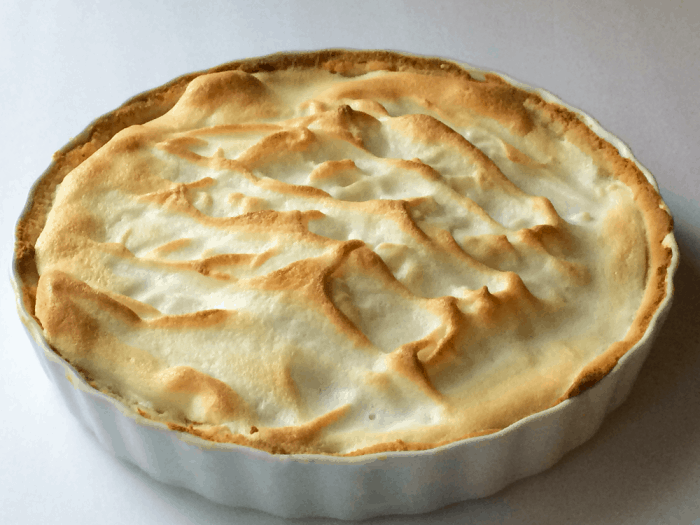 I wanted to make a keto lemon meringue pie because my husband loves lemon meringue pie. It is his favorite next to pumpkin pie, but because it is spring and not fall I decided to do a lemon meringue. I will get to pumpkin in the future. 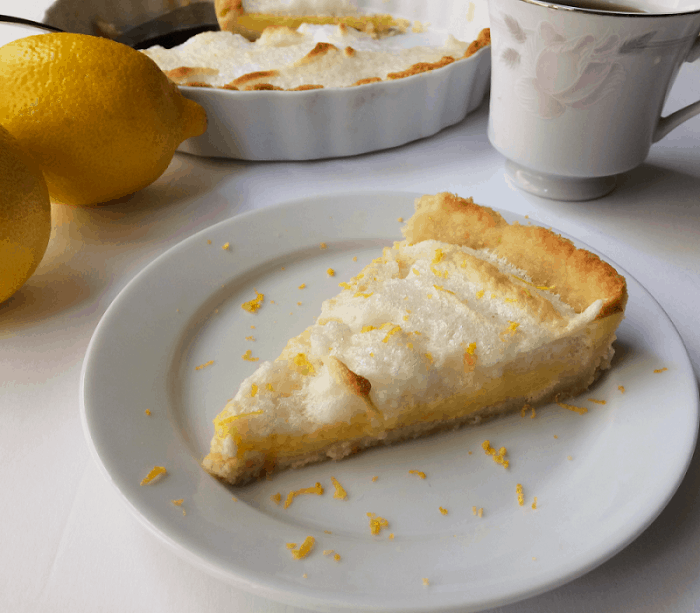 This pie is so lemony and good that you will swear that it is full of carbs and sugar, it is that good. It is tangy and sweet, just the way a lemon meringue pie should be. 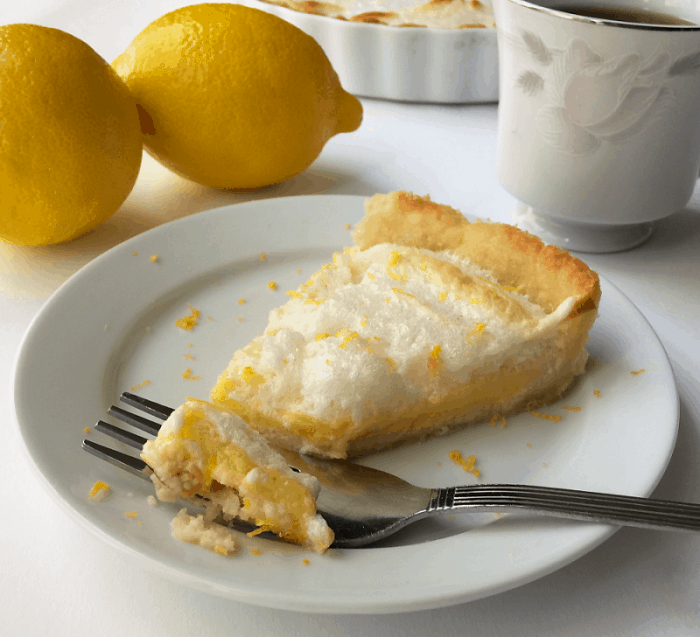 To me, lemon meringue pie just screams spring and we need some spring around here. I live in New York and it is still snowing in April, therefore anything we can do to make it seem more spring-like is definitely needed. 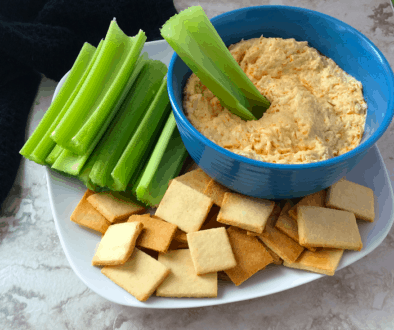 I hope that you try this recipe for yourself and Happy Spring… hopefully, it will be spring here soon too. We also have a delicious chocolate pie recipe that was my great grandmother’s recipe that I converted to keto. In a medium-sized saucepan over medium heat, add water, lemon juice, and butter until the butter is melted. Add a little of the lemon mixture to the egg yolks and blend to bring the eggs up to the temp. of the lemon mixture (temper the egg yolks). Add egg yolks when tempered and whisk into the lemon mixture, stirring constantly. Add xanthan gum and whisk to combine cook until mixture thickens. Pour into a prebaked pie crust. 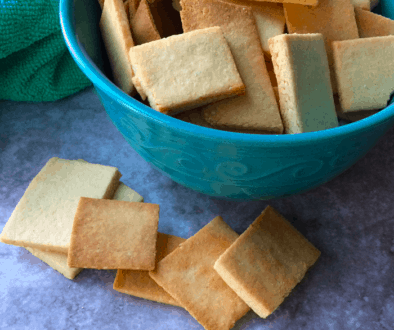 You can use our pie crust recipe. Make sure you always blind bake the pie first. In a medium bowl, beat egg whites, cream of tartar, and vanilla extract with electric mixer on high speed until soft peaks form. Add powdered erythritol 1 tablespoon at a time; continue beating until peaks are stiff and glossy. Spoon onto hot pie filling. Spread over filling evenly, carefully sealing meringue to edge of crust to prevent shrinking or weeping. With the side of a rubber spatula create peaks on top of the meringue. Then place in the fridge until serving. It will set up more the longer it is in the fridge. I find it best the next day. We use granular erythritol and then just use a coffee grinder to powder it yourself.